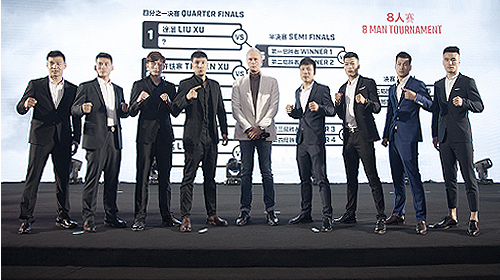 GLORY World Series of Kickboxing is dedicated to placing world championship level kickboxing on a major platform before a global audience, and producing match-ups between the top fighters on the planet. GLORY World Series is where martial arts athletes, highly skilled in a wide array of combat disciplines, including Muay Thai, Kickboxing, Boxing, Karate, Kung-Fu, Tae Kwon Do and Capoeira, converge under one set of rules to determine who reigns supreme in the ring. 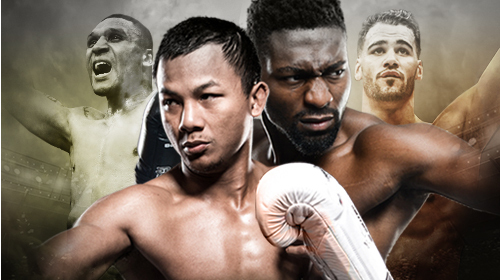 GLORY 64 Grigorian vs Doumbe Mar 9, 2019 (2:09:18) Two world title fights headline GLORY 64! 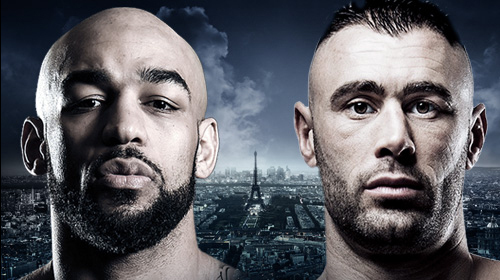 Don't miss any of the action live from Strasbourg, France. 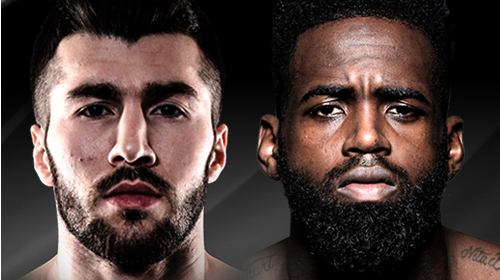 GLORY 64 SuperFight Series: Nabiyev vs Groenhart Mar 9, 2019 (2:09:04) The best kickboxers in the world are back LIVE on UFC FIGHT PASS for GLORY 64 SuperFight Series! 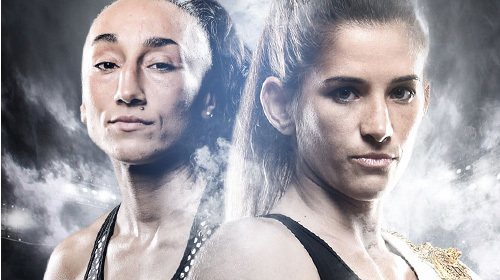 GLORY 64 Prelims Mar 9, 2019 (1:51:00) The action at GLORY 64 starts right here with the prelims! 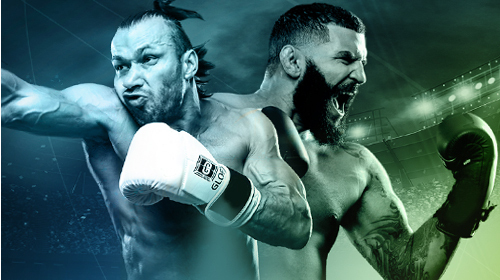 GLORY GLORY 63 Feb 1, 2019 (2:15:40) Catch all of the action from the GLORY 63 Numbered Series right here! Available for viewing in the USA. 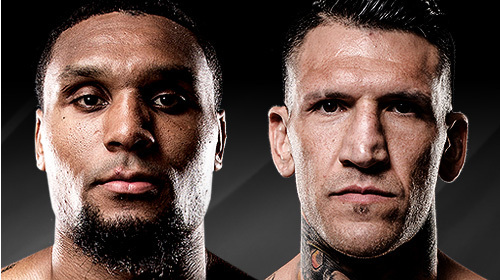 GLORY 63 SuperFight Series Feb 1, 2019 (1:58:37) The best kickboxers in the world are back LIVE on UFC FIGHT PASS for GLORY 63 SuperFight Series! 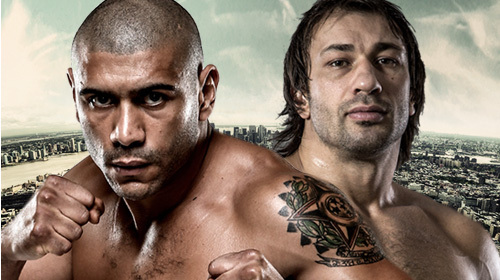 GLORY 62 SuperFight Series: Grigorian vs Baya Dec 8, 2018 (1:54:10) The best kickboxers in the world are back LIVE on UFC FIGHT PASS for GLORY 62 SuperFight Series! GLORY 59 SuperFight Series Sep 29, 2018 (2:01:59) The best kickboxers in the world return LIVE to UFC FIGHT PASS for GLORY 59 SuperFight Series. 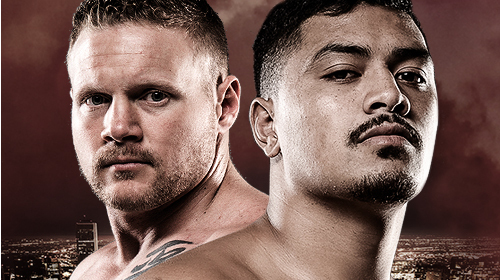 GLORY 58 SuperFight Series: Tafa vs Wilson Sep 14, 2018 (1:32:07) Junior “The Juggernaut” Tafa looks to improve his 18-3 record in the main event bout against 24-3 Haze “The Hooligan” Wilson. 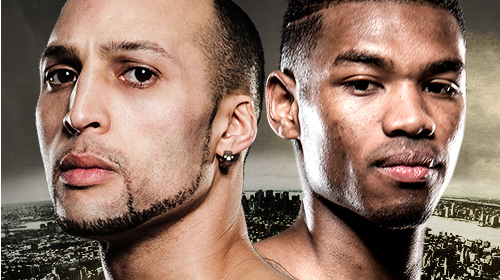 Also see the semi-finals and final round of the Glory Welterweight Tournament only on FIGHT PASS. 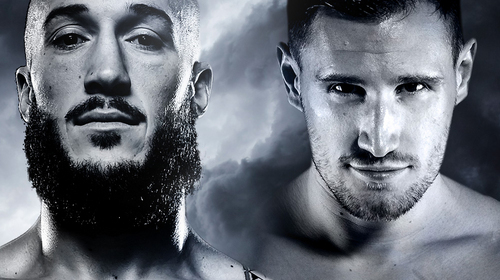 GLORY 57 SuperFight Series Aug 25, 2018 (2:05:06) The best kickboxers in the world return LIVE to UFC FIGHT PASS for GLORY 57 SuperFight Series. 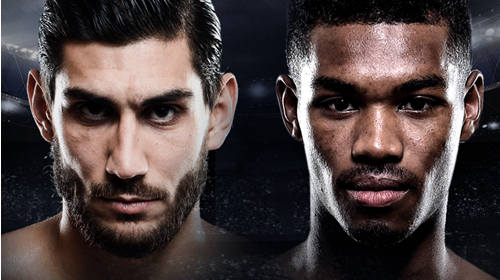 GLORY 56 SuperFight Series: Marcus vs Wilnis Aug 10, 2018 (2:08:54) The best kickboxers in the world return LIVE to UFC FIGHT PASS for GLORY 56 SuperFight Series. 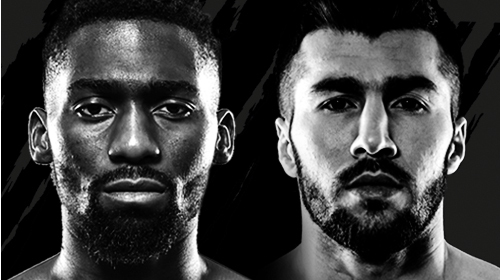 GLORY 55 SuperFight Series: Doumbe vs Scheinson Jul 20, 2018 (2:01:40) The best kickboxers in the world return LIVE to UFC FIGHT PASS for GLORY 55 SuperFight Series. Don't miss the return of Tiffany van Soest to the GLORY ring! 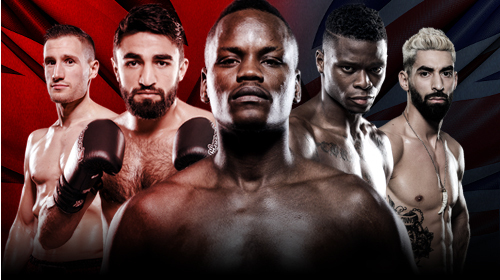 GLORY 54 SuperFight Series: Ilunga vs Weightman Jun 2, 2018 (2:26:10) The best kickboxers in the world return LIVE to UFC FIGHT PASS for GLORY 54 SuperFight Series. 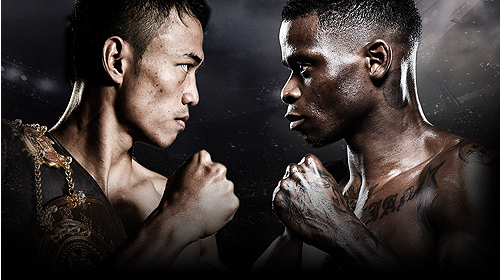 GLORY 53 SuperFight Series: Doumbe vs Thongchai May 12, 2018 (2:08:27) The best kickboxers in the world return LIVE to UFC FIGHT PASS for GLORY 53 SuperFight Series. 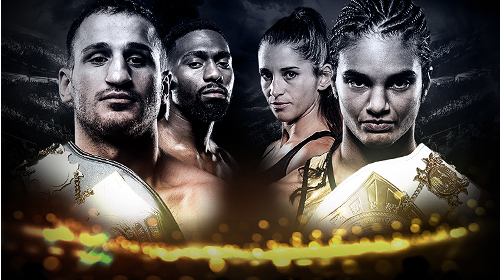 GLORY 52 SuperFight Series Mar 31, 2018 (1:57:39) The world’s best kickboxers return to UFC FIGHT PASS LIVE from Los Angeles for the GLORY 52 SuperFight Series! Number 1 light heavyweight contender Pavel Zhuravlev takes on Myron Dennis, plus Zakaria Zouggary battles Bailey Sugden in a featherweight matchup. Don’t miss the action at 9/6 PM ETPT! 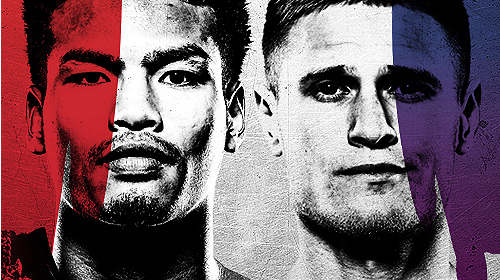 GLORY 51 SuperFight Series: Doumbe vs Nabiyev Mar 3, 2018 (1:59:23) The best kickboxers in the world return to UFC FIGHT PASS for GLORY 51 SuperFight Series. 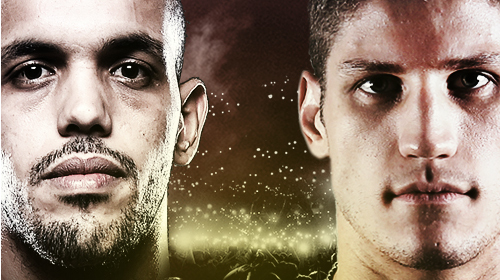 GLORY 50 SuperFight Series: Sitthichai vs Baya Feb 16, 2018 (2:03:21) The best kickboxers in the world return to UFC FIGHT PASS for GLORY 50 SuperFight Series. 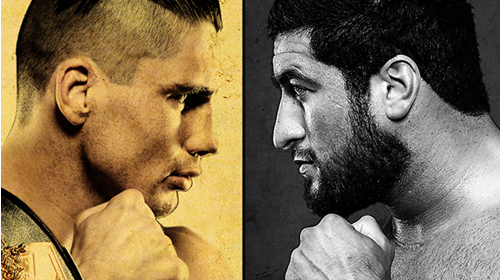 Rico vs Jamal GLORY: Redemption Dec 9, 2017 (2:04:36) The world’s greatest kickboxer – GLORY heavyweight champion Rico Verhoeven – is out for vengeance when the 6ft 5”, 260lbs striker collides with 6ft 9”, 270lbs Jamal Ben Saddik in the main event of the stacked GLORY: REDEMPTION event, Rotterdam, Netherlands, December 9. 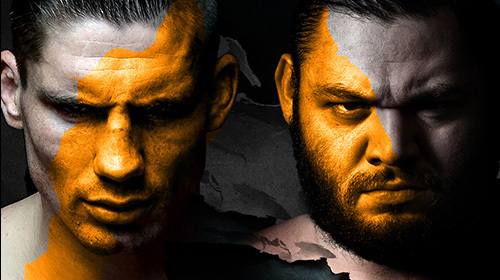 “The Goliath” defeated Verhoeven years ago and now, in literally the biggest fight of 2017, he has vowed to rip the title away while Rico aims to underline his status as the greatest striker of all time. 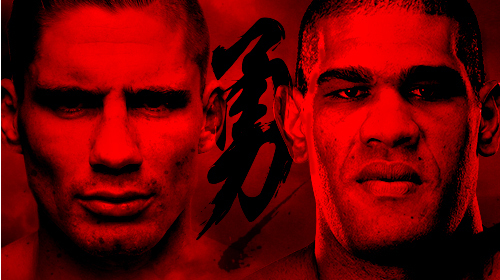 Also on the stacked card, light heavyweights Michael Duut and Danyo Ilunga clash in a rematch of 2016’s fight of the year, Bailey Sugden takes on Chenglong Zhangt and the legendary “Professor” Petchpanomrung Kiatmookao takes on Zakaria Zouggary. GLORY 49 GLORY Redemption: Prelims Dec 9, 2017 (2:05:57) Before the biggest kickboxing PPV of the year gets underway, the actions starts on UFC FIGHT PASS with GLORY 49 SuperFight Series. 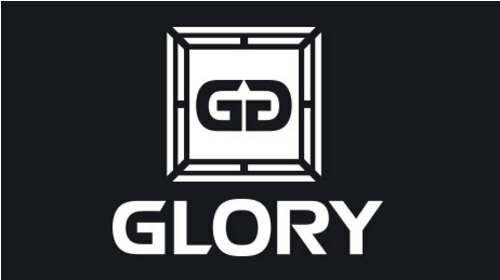 GLORY 48 SuperFight Series: Van Soest vs Meksen Dec 1, 2017 (2:03:06) Tiffany "Time Bomb" Van Soest returns to the GLORY ring to defend her Super Bantamweight title at GLORY 48 SuperFight Series. 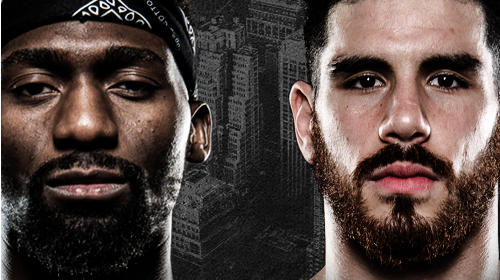 GLORY 47 SuperFight Series: Salvador vs Glunder Oct 28, 2017 (2:01:10) The best kickboxers in the world return LIVE to UFC FIGHT PASS for GLORY 47 SuperFight Series! 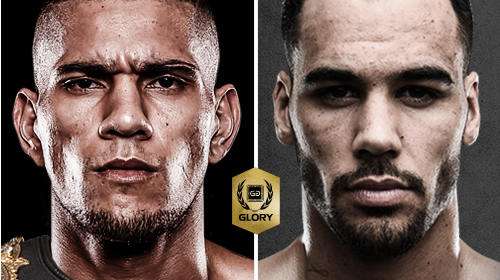 GLORY 46 SuperFight Series: Rico vs Bigfoot Oct 14, 2017 (2:26:17) Rico "The King of Kickboxing" Verhoeven returns to the GLORY ring to take on UFC veteran Antonio "Bigfoot" Silva in a heavyweight showdown. GLORY 45 SuperFight Series: Wilnis vs Belgaroui Sep 30, 2017 (1:55:20) Former GLORY middle weight champion Jason 'Psycho' Wilnis embarks on his journey back to the belt as he takes on No.2 ranked Yousri Belgaroui. 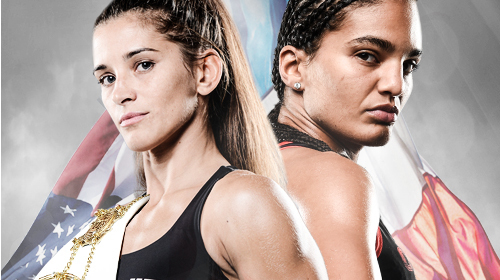 GLORY 44 SuperFight Series: Van Soest vs Uslu Aug 25, 2017 (2:17:39) Tiffany “Time Bomb” van Soest puts her unblemished 3-0 GLORY record on the line in her first title defense against Meryem Uslu. 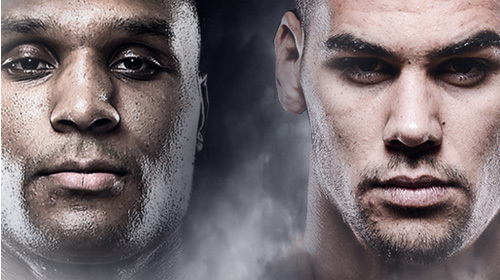 GLORY 43 SuperFight Series: Cavalari vs Zhuravlev Jul 14, 2017 (2:05:19) The best kickboxers in the world return to UFC FIGHT PASS for GLORY 43: SuperFight Series. 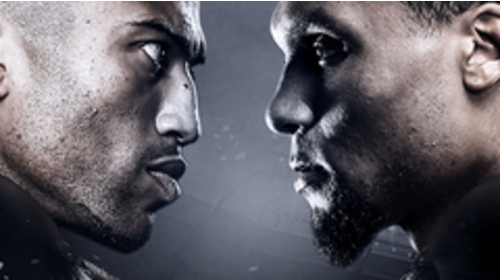 GLORY 42 Super Fight Series: Kongolo vs Lidon Jun 10, 2017 (2:02:03) The best kickboxers in the world return to UFC FIGHT PASS for GLORY 42: SuperFight Series. 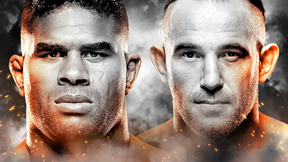 In the main event, Yoann Kongolo clashes with Yohan Lidon. 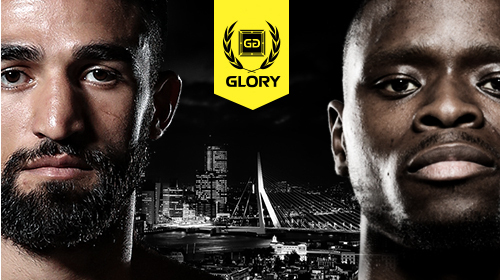 GLORY 41 SuperFight Series: Verhoeven vs Lazaar May 20, 2017 (2:44:42) Rico "The King of Kickboxing" Verhoeven has been booked to the headline the GLORY 41 SuperFight Series on UFC FIGHT PASS. 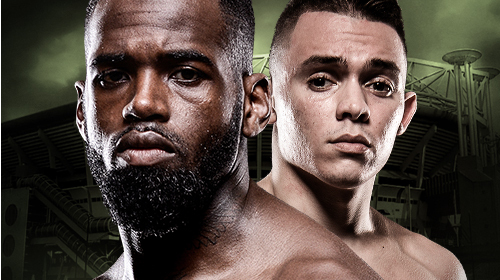 Verhoeven takes on newly signed and highly touted Ismael "The Star" Lazaar in a five-round superfight. GLORY 40 SuperFight Series: Abraham vs Bates Apr 29, 2017 (1:56:50) American rising star Richard Abraham battles British beast Jamie Bates in the main event of GLORY 40 SuperFight Series.